It’s a great time to be a woman-owned business in Maine. Women-owned businesses in Maine last year ranked first nationally for both revenue and job growth, according to the 2017 State of Women-Owned Businesses Report, commissioned by American Express. Two women riding the momentum of the female-charged wave are Sarah Cronin and Natalya Nikitina, who both moved to Freeport with a vision to find a better work-life balance for themselves and their families. Cronin and Nikitina met through their husbands, who worked together, and they started talking over the phone about their idea to start a retail business. These conversations inspired Nikitina, a fashion industry designer in New York, to move from northern New Jersey to Maine with her husband and two young children in 2016. “We sold our house in New Jersey and moved to Freeport in three months,” Nikitina says of their rapid transition. “Sarah and I didn’t know each other well, but our lives were heading in the same direction and we both wanted to start a business.” Cronin, originally from Connecticut, had moved to Freeport in 2003 for her husband’s job. She worked in the oil and gas industry and spent most of her year traveling, which wasn’t conducive to work-life balance or a family. “Maine is a healthy place to live, especially compared to where we came from. It’s not us leaving at 7 a.m. and getting home at 8 p.m. like it used to be,” Nikitina explains. 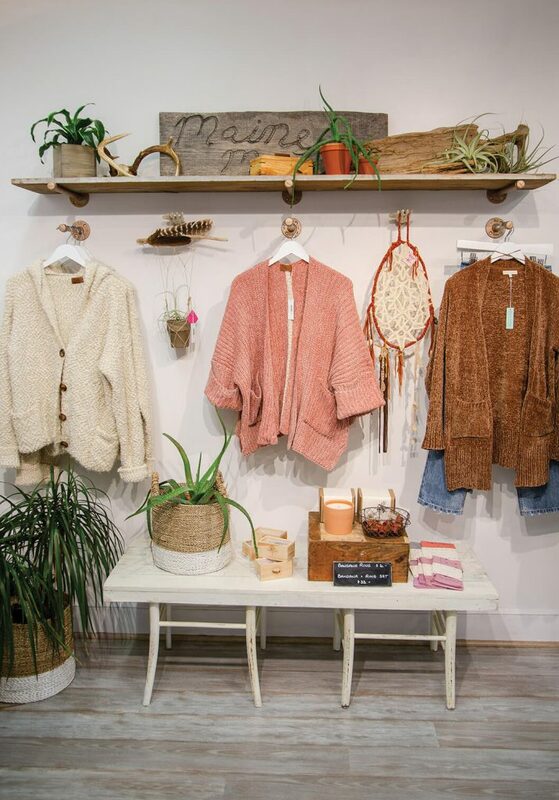 The two women opened their store, Rustic Arrow, in May of 2016 on Bow Street in Freeport with only their vision and $30,000 cash they scraped together. “It was kind of a wing and a prayer,” Nikitina says. They quickly outgrew the 800-square-feet space and be gan looking for a bigger place with more visibility. In May 2017, they moved to larger retail space at 116 Main St. 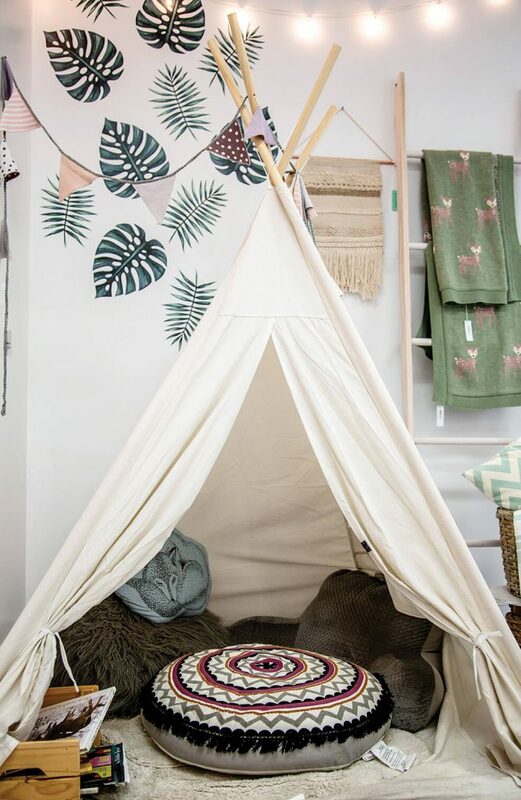 The store offers baby/children’s and adult clothing, jewelry, gifts and home furnishings with a focus on quality and a low price point (they rarely stock items over $100). Nikitina and Cronin’s children attend Freeport schools, and Rustic Arrow has sponsored their schools’ sports teams, as well as donated items for auctions and school events. The store’s proximity to the schools means their kids and friends can drop in often after school. 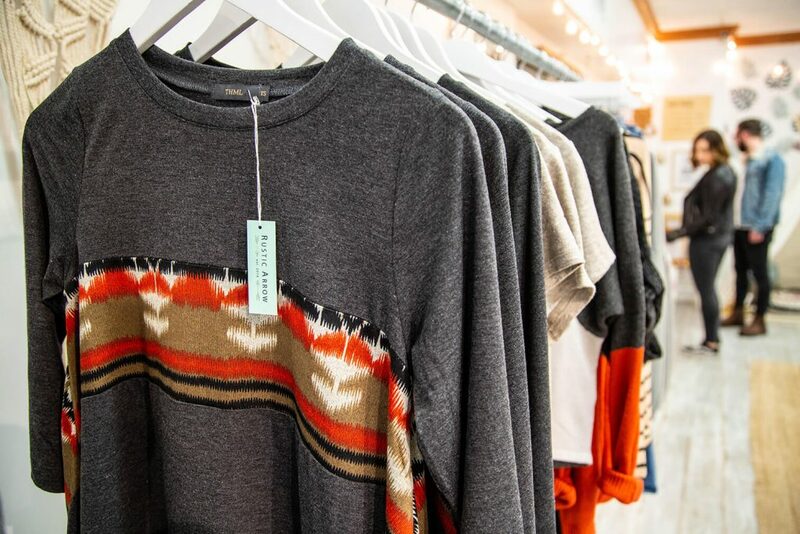 The store stocks an eclectic mix of products from designers from Freeport to California, with a focus on startups and women designers who’ve incorporated fair trade into their businesses. “We wanted to build a business that would help support our families but also support our community of women designers and makers,” Cronin says. “At first it was us reaching out to designers and now it’s designers and brands reaching out to us. We try to cycle designers and brands pretty frequently and we always bring in new products,” Nikitina says. Another challenge has been being a small fish in the big ocean that is Freeport, a shopping destination filled with national brand outlet stores. “We’re thinking about how, as a small business, we can shift the focus to draw more attention to the small businesses that sometimes get overlooked,” Cronin says. 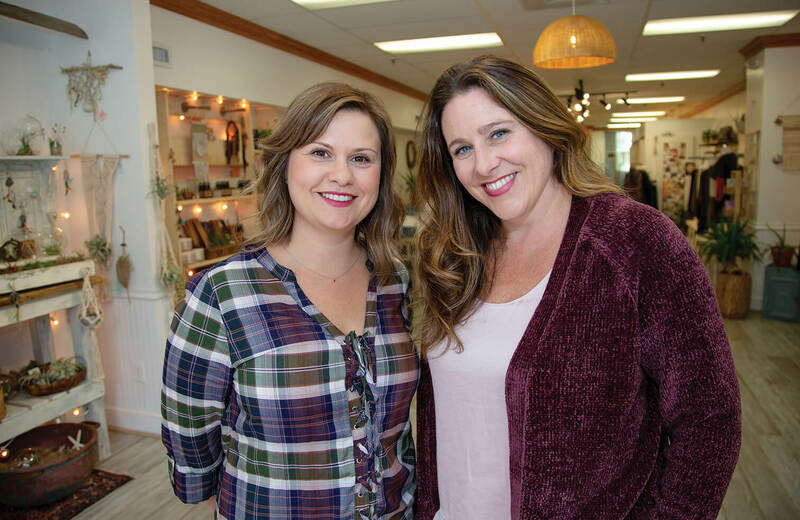 Cronin and Nikitina helped form Shop Small Freeport, a group of small local businesses that have banded together to leverage each other’s talents. “It’s free to join and we have meetings, get together and come up with ideas. We created a small flyer to put up at businesses around town. It’s collaborative and we check in throughout the year,” Cronin says. They also started Shop Small Freeport First Thursdays and host cross-promotional events to bring attention to small local businesses in the area. “There’s a current lifestyle trend that shopping small businesses makes a difference (to both shopkeepers and customers) and we’re tapping into that trend. Every day we get a comment ‘you’re so different for Freeport!’ which is nice,” Nikitina says. As they look ahead, Cronin and Nikitina want to grow their online business to add more products, (including their own signature line, and increase staff so they can focus on long-term growth. They hit their summer sales growth goal (20 percent per month) and project continued growth into the holiday season. They’re also hoping to add more workshops and events in the fall and winter.